Allergy sufferers: Prepare for a "pollen explosion"
After a delayed start, spring is in the air -- quite literally. Maple, cedar and elm trees should have been pumping out pollen two to three weeks ago, but got a late start because of cold weather in the eastern part of the country. Now, Dr. Leonard Bielory of Rutgers University and Robert Wood Johnson University Hospital says allergy sufferers had better get ready for a pollen explosion. This season will see "late release, overlapping and therefore much more intense," he told WCBS 880's Sean Adams, "to the point where you may even see clouds of pollen being released over the next several weeks where there will be almost a green mist; a yellow green mist which you will say, 'Gee, it looks a little fuzzy,' and that's actually the pollen being released and it will be quite intense." This year bucks the trend of allergy seasons getting an early start. Bielory has been studying climate change and in recent years, his counts show pollen release generally staring earlier and lasting longer. If you already know you suffer from spring allergies then stock up on the pills and nasal sprays that normally help you get through the season. David Rosenstreich, chief of the division of the allergy and immunology at the Albert Einstein College of Medicine and Montefiore Medical Center in New York, told CBS News he recommends patients take over-the-counter second-generation allergy pills such as Allegra, Zyrtec and Claritin, and keep nasal sprays on hand, such as Nasacort and Flonase, which should provide some relief throughout the day. Keep track of pollen counts in your area by looking online or through your local weather forecast. Avoid spending excessive time outside when you notice counts are especially high. 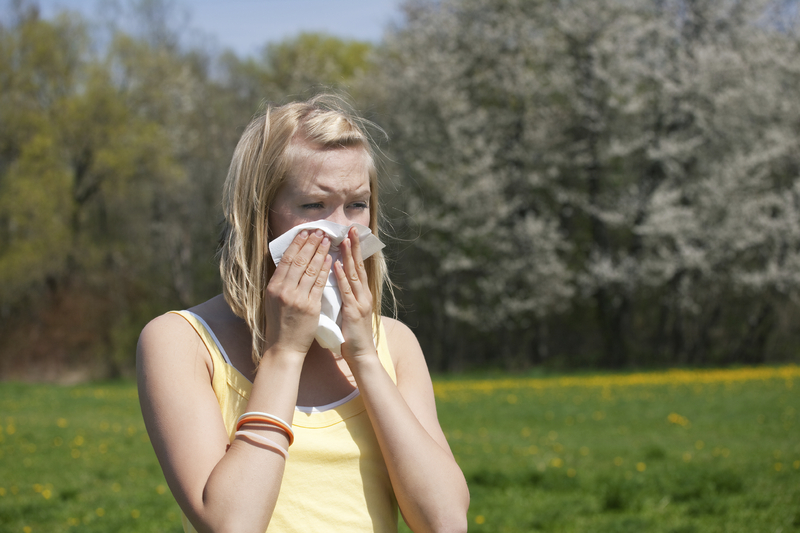 Don't exercise outside on high pollen count days, especially between 5 a.m. and 10 a.m. Remove outer clothing so you don't track pollen into your living room and bedroom. Shower before getting into bed to remove pollen.